Beginning Oct. 25, imports of seven steel products will be subject to a 25 per cent surtax when the level of those imports exceeds historical norms, according to a release from the Department of Finance. Those products help build condominiums, dams and bridges, "which encompasses a heck of a lot of steel," Jesse Goldman, a lawyer representing the Canadian Coalition for Construction Steel, told The Canadian Press. He said the new surtax puts the construction industry in "a very dire position" because of Canada's limited domestic steel supply. Goldman pointed out that a lot of imported structural steel has been put toward the refurbishment of the Parliament buildings. "It's more ironic than intentional, but it gives you an example of the importance of imported steel in Canada." 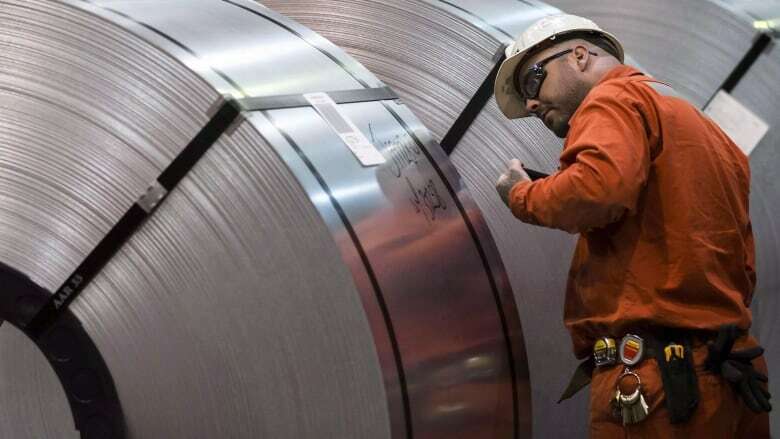 Meanwhile, Reuters reports that Mexico isn't happy about Canada's steel measures and "will take action to protect its own exporters in the short term, according to a statement from Mexico's economy ministry on Thursday." In August, Finance Minister Bill Morneau launched a 15-day public consultation process on products the minister said had seen recent increases in imports. The government is also requesting that the Canadian International Trade Tribunal conduct an inquiry to determine whether long-term measures are warranted. The provisional surtaxes will be in place for 200 days while the tribunal comes to a decision. U.S. President Donald Trump's protectionist measures continue to reverberate across the global steel industry. Trump levied a 25 per cent tariff on Canadian steel shipments, along with those from Mexico and the European Union, in late May. Canada retaliated with a 25 per cent duty on imports of steel products from the U.S., but that didn't apply to steel coming in from other places. On Thursday, the Department of Finance announced new protective measures for Canadian producers and manufacturers hit by U.S. steel and aluminum tariffs. Ottawa already had established a process for Canadian companies to request relief from the countermeasures in extraordinary circumstances, such as a lack of supply in the domestic market. Now, companies that have been granted relief can import those goods without paying surtaxes. The government is also setting up a committee for stakeholders on countermeasures. "The measures offer a balanced response that will support Canadian producers and manufacturers, while the government continues to work toward the complete repeal of all U.S. tariffs of Canadian steel and aluminum," reads the statement from Finance. With files from Reuters and the Canadian Press.